If you know us well, you already know that Sentido Coffee Brewers in Kondapur is our regular coffee haunt. When we heard that they've come up with a new coffee menu, we checked it out. Is the summer heat getting to you? We totally feel you. While we can do nothing about the heat, here's a piece of good news — you can cool it off at Sentido. They have introduced a whole new range of coffee variants like Mazagran, Espresso Tonic (a coffee-version take on Gin & Tonic), Shakerato, El Coco. 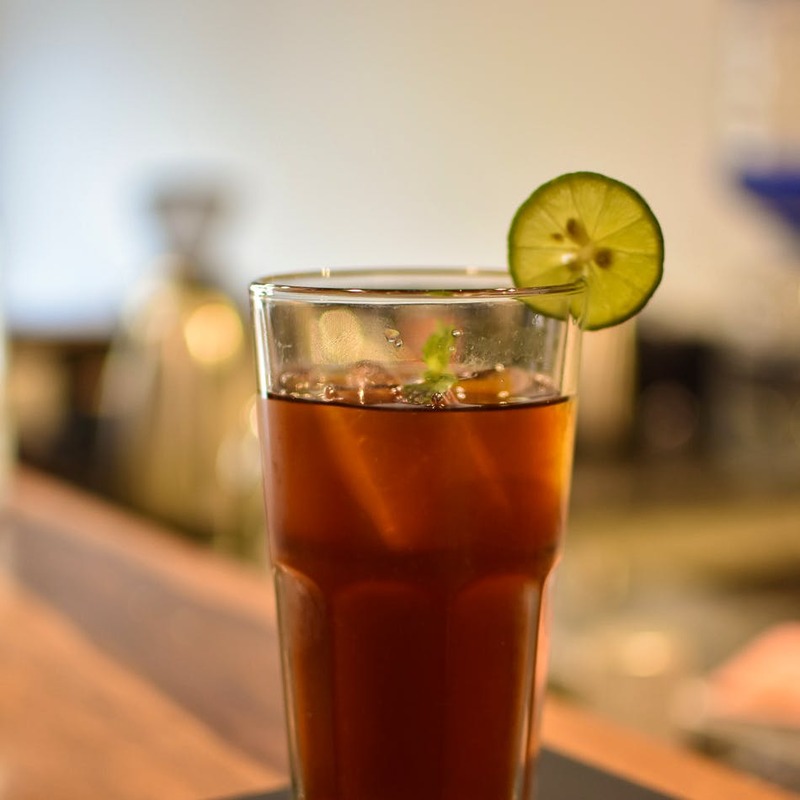 We have tried the Mazagran, which is a coffee lemonade, made in a Portuguese style. A dash of lime and mint makes it refreshing and this has quickly turned into our favourite Summer drink. Like your coffee with milk? Make way for Shakerato and El Coco. El Coco has the richness of coconut cream, and it makes for great consistency in your cold coffee. Watching the Shakerato made is a fun process too as it's made in a cocktail shaker. Expect all the goodness of condensed milk and fresh milk. You can pair your coffee with nibbles that are put on display at the counter. Ask for a Madeleine, which is a European sponge cake or stick to the classic Apple Crumble. Either way, it's a rewarding experience. If you are looking for something savoury, pick between Spinach & Corn Sandwich or Potato & Beetroot Sandwich. We personally love the potato and beetroot one. Can't go without meat? Chicken Chettinad Sandwich is your mecca! Sentido has a coffee loyalty program, where you buy nine cups of coffee and the tenth one is free. If you live in and around this area or work out of coffee shops, you might want to check this out.